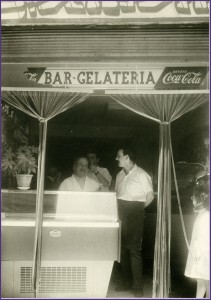 The Vivoli ice-cream parlor was founded as Latteria Vivoli back in 1929. The family lived in Pelago, a village located between the plains and the mountains. It was hard times for all the Italians and one of the three brothers, Serafino, decided to try his luck by moving to Florence. 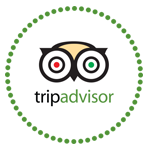 He opened the Dairy in via Isola delle Stinche n. 3/r in the popular district of Santa Croce. The area was full of artisan shops of all kinds and the dairy soon became a pleasant meeting point where to have coffee every day and to buy whipped cream on Sundays. The arrival of his brother Raffaello gave a further impulse to the activity and in 1932 he decided to try with ice cream. Obviously at that time there were no fridges and to make ice cream you had to resort to buying ice, which came from the Apennines, to be exact from a place called Saltino. In that region were large pools that in winter used to be filled with water that turned into ice because of the cold. The people involved in this work used to use peaks to broke into large blocks the formed ice to be stored immediately in the underground rooms where they were stored until the indicated time to be taken to the city and be sold to whom will need them. That's how the Gelatiere work of Raffaello began. During that time, Saltino's location was not only famous for its ice production, but it was also a popular summer resort. To escape from the heat of the cities, the people who had the means to do it, used to go to the Saltino hotels. 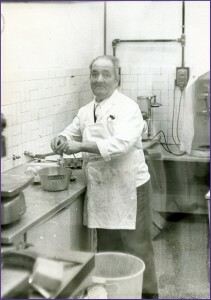 The Vivoli family did not miss the opportunity to make their gelato known to non-Florentine tourists and it was in 1936 that a branch of the Florentine dairy in Saltino was opened only during the summer period. Many renovations were carried out in 1941, 1959, 1984, 1997, 2002 and 2017. In the 60's, things were good for the Vivoli family; the passion for good ice cream, the scruple in the choice of raw materials, the enthusiasm for presenting the finished product given an increasingly popularity to the gelato and the quality of it was really appreciated. However, on November 4, 1966 the activity in Florence was interrupted drastically due to a flood that wiped out most of the city. A new business renovation was carried out in 1967 after the flood. Piero Vivoli and his family with the usual tenacity, gave their all and after just two weeks they were able to reopen the business. In the 70s, the Vivoli ice cream shop was the favorite meeting point for young and old. In the 70s, the Vivoli ice cream shop was the favorite meeting point for young and old. Students, Italians and foreigners, artists, motorcyclists, whole families, gathered in Vivoli for an ice cream after dinner. The American, English, French and German tour guides, strangers to the Vivoli family, realized this and little by little began to point out the ice cream shop as a place you should visit when you were in the city; first, for the delicious ice cream and second, for the cheerful atmosphere that reigned there.